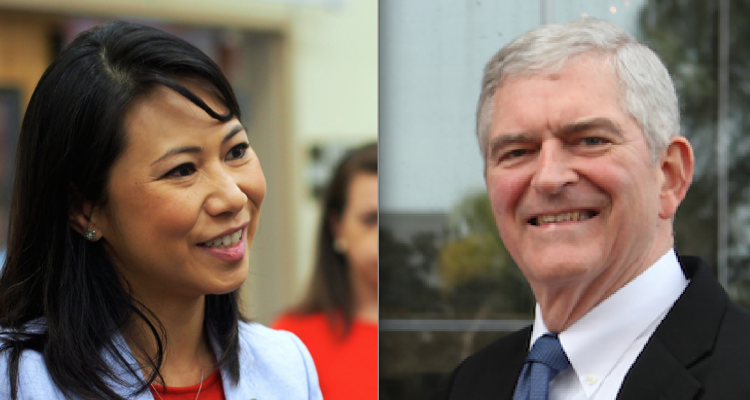 The migrations in Florida of Republican strength into rural and small-city counties and of Democrats into urban areas and inner suburbs have greatly increased the chances of re-election for Democratic U.S. Rep. Stephanie Murphy and Republican U.S. Rep. Dan Webster. 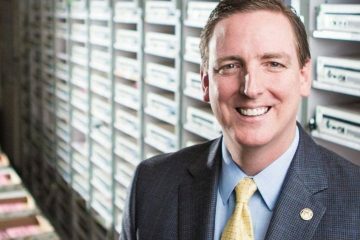 Changes in voter registration since the 2016 general election also have improved the prospects for U.S. Rep. Neal Dunn, for Republican state Sen. Greg Steube, and for Republican Michael Waltz. Voter registration data posted Thursday by the Florida Division of Elections for the book-closings for the Nov. 6 general election show the partisan landscapes have changed in a handful of Florida’s 27 congressional districts since the last congressional election in 2016. 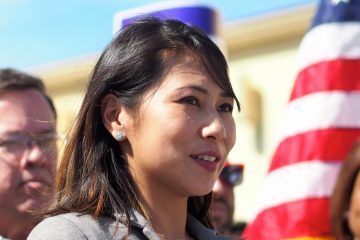 The only Democratic congressional candidate in Florida seeing a strong swing of voter registration trends her way is Murphy, the freshman from Winter Park, who faces a challenge from Republican state Rep. Mike Miller, also of Winter Park. Florida’s 7th Congressional District, covering Seminole County and north and central Orange County, has gone from just slightly less than 1 percent advantage-Democrats, to almost 3 percent advantage-Democrats. The voter base there now is 37 percent Democrat, and 34 percent Republican. In Webster’s CD 11, covering west-central Florida counties from northwest Lake County to the Gulf coast, Republicans padded their voter registration advantage by another 2 points of percentage margin over Democrats. Webster is being challenged by Democrat Dana Cottrell there. Republicans now making up 46 percent of the district’s electorate, and Democrats, 29 percent. Waltz is in a bruising battle with Democrat Nancy Soderberg seeking to succeed U.S. Rep. Ron DeSantis in Florida’s 6th Congressional District, covering the northeast counties from Flagler to eastern Lake, and including west Volusia County. Voter trends are going Waltz’ way, as the GOP has padded its advantage by nearly 2 points. The district now is 38 percent Republican and 33 percent Democratic. 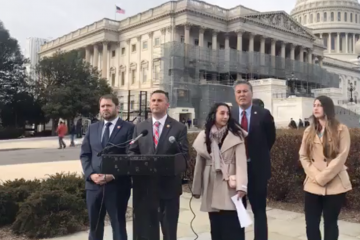 The re-election chances for U.S. Rep. Darren Soto of Celebration improved slightly in Florida’s 9th Congressional District covering south Orange, Osceola, and eastern Polk counties. Soto has a rematch of his 2016 successful election against Republican Wayne Liebnitzky of Saint Cloud, and voter regisrations are trending Soto’s way, by less than a full point. That district now is 40 percent Democratic and 27 Republican by registration. In Florida’s 8th Congressional District, covering Brevard County and parts of eastern Orange and northern Indian River counties, Republican U.S. Rep. Bill Posey saw voter registration trend almost a full point toward Republicans since the 2016 election. This year he faces Democrat Sanjay Patel in a district that is 43 percent Republican and 30 percent Democrat. Elsewhere in Florida, nowhere was change greater than in Florida’s 2nd Congressional District, where Dunn faces Democrat Bob Rackleff. In that district, covering all or parts of 18 Panhandle counties, (many of which were hammered by Hurricane Michael two weeks ago,) Republicans have increased their advantage over Democrats by more than 4 percent in voter registrations since 2016. Heading into the Nov. 6 election, the general election voter rolls in CD 2 now are 45 percent Republican, and 36 percent Democrat. In CD 17, where Steube faces Democrat Allen Ellison for the open seat to represent nine southwest Florida counties from Polk to Charlotte, Republicans also picked up 2 points in their advantage since 2016, now enjoying a voter roll that is 44 percent Republican and 30 percent Democrat. – In Florida’s 15th Congressional District in the eastern Tampa Bay region, where Republican state Rep. Ross Spano and Kristen Carlson are deadocked in polls for the open seat, Republican voter registration is up slightly, and Democrats’, down slightly. As a result Republicans now have a 1 point advantage in the district. – In Florida’s 18th Congressional District along the Treasure Coast where freshman Republican U.S. Rep. Brian Mast is battling with Democrat Lauren Baer, Republicans picked up almost a half-point additional advantage in voter registration since 2016. They now have a 38-34 edge over Democrats there. 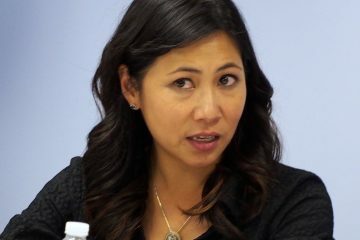 – In Florida’s 26th Congressional District in South Florida where Republican U.S. Rep. Carlos Curbelo is in a fight with Democrat Debbie Mucarsel-Powell, she’s picked up about a point of new advantage in voter registration. That district now is 36 percent Democrat and 31 percent Republican. – In Florida’s 27th Congressional District in South Florida, Donna Shalala is battling against Republican Maria Salazar for the open seat, with a vote registration that has gone a full point toward Democrats since the 2016 election. CD 27 voters now are 36 percent Democrat and 32 percent Republican.